What does a twenty-something native Californian male, passionate about Roosevelt's NRA and WPA project, 1920/30s murals and Orange County do in his spare time? Why, create a movie magazine for silent film fans, of course! Writer and publisher Charles Epting describes Silent Film Quarterly as, "My baby. I collect old movie magazines and was drawn to the physical fan magazines, which built more appreciation for film and the stars. There were no physical magazines for silent film, but there's something about getting a physical magazine - it brings the past alive - because people today have the impression that it's "dead", but it's not. Because it's rooted in the past, print is the perfect medium for such a magazine, rather than an online format." 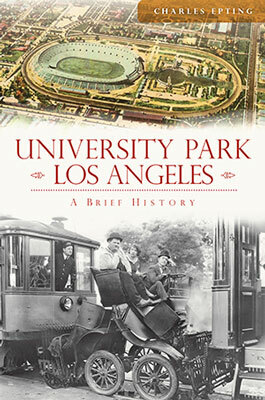 Charles is a young man steeped in two of his "favorite things in the world - history and writing". Growing up in Orange County, he used to write as an outlet. His first inspiration came from western novelist Zane Grey, where his sense of adventure lead him to Grey's home in Altedena, Pasadena, prompting him to take a brick as a momento, "I would go and sit, imagining him coming and going." His favorite books were Riders of the Purple Sage and The Vanishing American. "Like me, Zane Grey was a traditionalist at heart and I loved the compelling literative that ropes you in - the beautiful landscapes, the idealized world..."
Growing up in a creative family, Charles father, author Chris Epting, was his role model, "He's an armchair historian who followed his dreams - and I guess I followed in his footsteps. Mom is a teacher and the family saint and my sister Claire is an actress and musician." When Charles wasn't reading Zane Grey, he was delving into the New Deal of the 1930s. 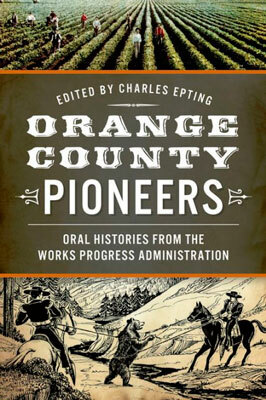 "Orange County got more money from the government than Los Angeles during the '30s. What's left for us today is that it prepared the community for WWII in producting and manufacturing and helped shape and change this country. What's left today are the national parks, constructed by the Works Progress Administration (WPA) and Civilian Conservation Corps (CCC) - the roads, hiking trails, schools, city buildings, infrastructure, and post offices. Built to last, the standard of construction was higher than today - built to be here for hundreds of years." But Cine Mata would hasten to add a third love, his obsession with silent films. "I don't really watch films past 1930. I'm fascinated with the 1920s - the architecture, Paul Whiteman, Keaton, Chaplin, Lloyd. The silent film era is different from a Michael Bay film of today. There's no way to casually watch a silent film, because missing one title card can change the entire film's meaning, which makes the viewer fully dedicated to watching." 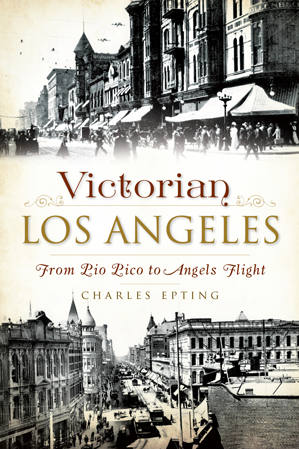 As a publisher, Charles Epting's magazine fills a huge void. "There are a lot of great websites and blogs about silent films, but I wanted to create a more permanent product, one that could be held. There's something so impermanent about online, and yes, it didn't exist and I thought “why not create it?” This way it could be available to libraries and for collections. These stars were once household names and Silent Film Quarterly is a physical record for others to collect." So, like Photoplay and other magazines of the past, Silent Film Quarterly pays homage to the great stars, continuing to keep the archeological thread intact. Yet Epting doesn't want to be limited to publishing a quarterly magazine. Charles plans to offer limited editions, reproductions of Hollywood movie memorabilia, like a 1916 series of silent film playing cards and felt pennants from 1916 -1918. "I'd like to expand to the multi-media for silent film memorabilia and collectibles, get them into the hands of people who love them so much." And he's not stopping there. His new book, "Bebe Daniels: Hollywood's Good Little Bad Girl", is now available. Cine wondered - why Bebe Daniels? "I discovered her watching a Harold Lloyd film, a pretty young girl, but nothing much. I then saw 42nd Street, where she played Dorothy Brock and I wondered, 1919 to 1933? What happened to all those years in the middle? Her 1920s lost, here was a star that could be versatile for a Lloyd comedy and a classic like 42nd Street. Many stars got caught up in the glitz, glamour, booze, the scandals - and yet she had a clean profile - religious, no drugs or big vices in her life. I was fascinated by her - here was a moral, decent person, not jaded, but stuck to her convictions." Was it also that Charles saw something familiar? "Sure, I see myself in her - a beacon of hope and dignity, during a time of Hollywood debaunchery. In the 1950s on the tv show, This is Your Life, she was surprised " 'I've been gone so long' " - this radio and tv personality, who had once been a household name - her fear was that she would be forgotten! She wasn't cut from the same cloth as a Clara Bow or a Louise Brooks - there were no scandals linked to her name to keep her in the changing public's mind. 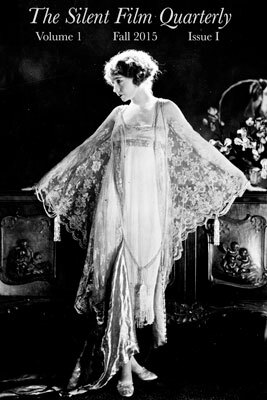 In 1927 and 1928, she was the fourth highest paid star." 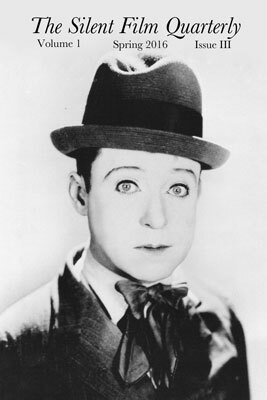 To Charles, the silent film stars are like old friends, "people I know". Stars and films like Harold Lloyd's The Freshman (1925), The Lost World (1925), Buster Keaton's The Navigator (1924); together with William S. Hart, Richard Arlen, Bebe Daniels, Lillian Gish and Blanche Sweet. The silent film community helps to bridge the divide between the generations, so that a young man like Charles Epting can dedicate to keeping their legacy alive.